I was just browsing the new questions and noticed egreg's recent answer, in which he uses a certain extension from e-TeX and cautions the reader that it is not compatible with Knuth TeX. And so I wondered if this was a real restriction in practice, which does not seem to be answered here, though according to Frank Mittelbach's answer, e-TeX is expected to be available to everyone. Certainly it's been around long enough; hearing "but you need e-TeX" sounds to my ear like "but you need a 386 processor or higher". I can imagine that some hidebound publishers might actually have not updated their TeX in 20 years, and so can Donald Knuth, but why make this kind of allowance in general? Is it because the TeXbook, the standard textbook, does not describe it? Notable individuals, or notable groups of individuals, who, for some principled reason, do not have e-TeX support in their installations. In this case, I'm curious how this came about. Institutions or distributions of some kind that do not allow the use of e-TeX by their users, whether or not those users have any particular opinion on the matter. Again, I am curious why. Basically, to what extent is e-TeX the default, and what's the deal with the exceptions? The second point actually excludes the AMS, since as barbara says, they actually go to great lengths to maintain consistency despite updating their system (though I would like to know if any new papers or books are produced under conditions that exclude e-TeX). But the ACS is an example that Joseph Wright explained well. And in the first point, I suppose Knuth himself (barbara's answer) is an example, as is the PGF project (percusse's comment), though why the PGF project excludes e-TeX is sort of begging the question, since it seems to be to support users that don't use e-TeX. A lot of server-based set ups are very conservative. For example, I write achemso to support submissions to the American Chemical Society. 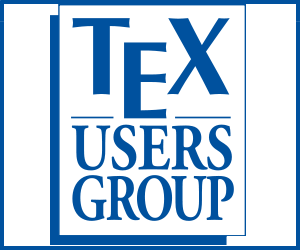 On the servers they have to take author .tex files and produce .pdf files, the e-TeX extensions are not available. (I am told an upgrade is planned for later this year.) These systems are often based on custom additions to the basic code, and have to be absolutely stable. So it is unsurprising the extensions are not available. A second area is people who use plain TeX. One of the reasons for doing this is knowing that the binary is not going to change, so files written many years ago can still be processed to give identical input today as they did when written. Any change in the binary can affect that, and so for absolute identical output those authors will use Knuth's TeX, not e-TeX, pdfTeX or other derivative which contains the extensions. PCTeX v6, at least not by default. Unless there is newer information, Scientific Workplace does not appear to support e-tex. Not the answer you're looking for? Browse other questions tagged best-practices e-tex tex-history or ask your own question. What are benefits of e-TeX for LaTeX users? Can pgfkeys deal with active comma? Is there a trick to reduce the number of counters in the following case?